Thanks to a savvy shopper who suggested this idea, and Kolbi at Goodwill of the Heartland, we’ve arranged for a Goodwill donation truck to be in North Liberty on the last day of the citywide garage sales. Location: Pacha Parkway, a.k.a. Penn Landing (the strip mall where Walgreens, Molly’s Cupcakes, Capanna, and McDonald’s are located—here’s a map). Hours: Saturday, June 9 from 1:00 PM to 4:00 PM. There are certain items Goodwill can’t accept, including baby gear (cribs and other baby furniture, car seats, strollers, high chairs, etc.). Before you load up and head to the truck, check the list of prohibited items here. Did you know the North Liberty Community Food Pantry accepts some clothing donations? Gently used children’s clothing in all sizes is needed. Adult clothing is limited to outerwear. Drop off your donations from 9:00 am to 5:00 pm Monday through Thursday. Not familiar with their location? Here’s a map. The Iowa City area DVIP provides services to victim/survivors of domestic violence, stalking and human trafficking in a 10-county area, including Johnson county. Many victims/survivors come to DVIP with just the clothes on their backs. 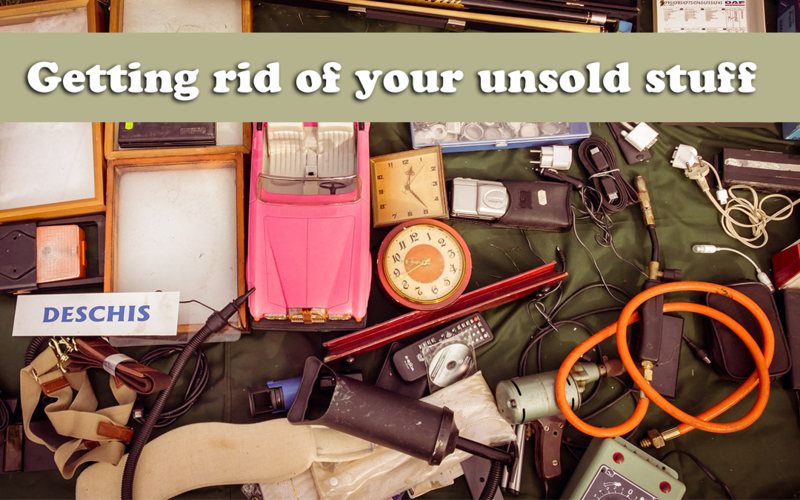 #1 — Take your items in resale condition to Stuff Etc. in Coralville, any time Monday through Saturday (no appointment needed). Provide the DVIP’s consigner number (#13287). Check their list of accepted and prohibited items before you go. #2 — Donate your items directly to DVIP (see below for directions). Drop them off at Gloria Dei Lutheran Church in Iowa City Monday-Friday, 9:00 am to 4:00pm OR if you can’t drop off during those hours, call 319-930-2030 to arrange for either someone to pickup (if available) or a drop-off time outside the normal hours. Housewares—As a general rule, if you can use it in your house, DVIP will gladly accept it. Examples: box fans, plastic storage bins, lamps, toy boxes, plant stands, alarm clocks, and LOTS more not listed here. Home decor—DVIP clients just starting out in a new home usually lack money to buy things to make their house feel homey. Clothing: Men, women, and kids, everything from newborn to 3X. They’ll happily take it. The only limitation: DVIP doesn’t have enough storage space for large items like beds, couches, and chairs. If you’re not familiar with the Buy Nothing movement, here are the Cliff’s Notes: Buy Nothing is a network of Facebook groups whose members live in close proximity to each other (in the same city, or in the case of North Liberty, within the same part of the city). Post anything you’d like to give away in the group. Key word: GIVE. No money can change hands, no trades, no bartering. Keep it civil. Buy Nothing North Liberty (North): For those who live north of Penn Street. If you have building materials: glass, doors, window frames, scrap lumber, metal, et cetera, consider donating them to Habitat Restore.